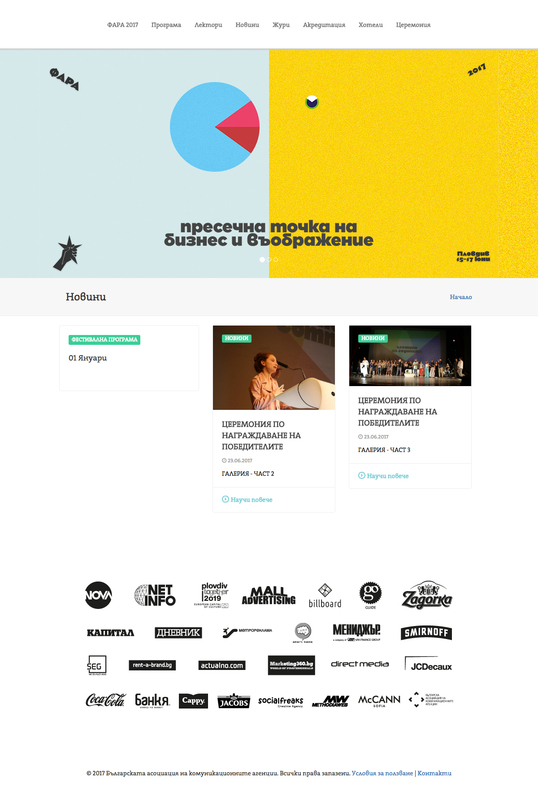 Redesign and update of the FARA website (Bulgarian Association of Communication Agencies Festival) for the upcoming event in 2017. 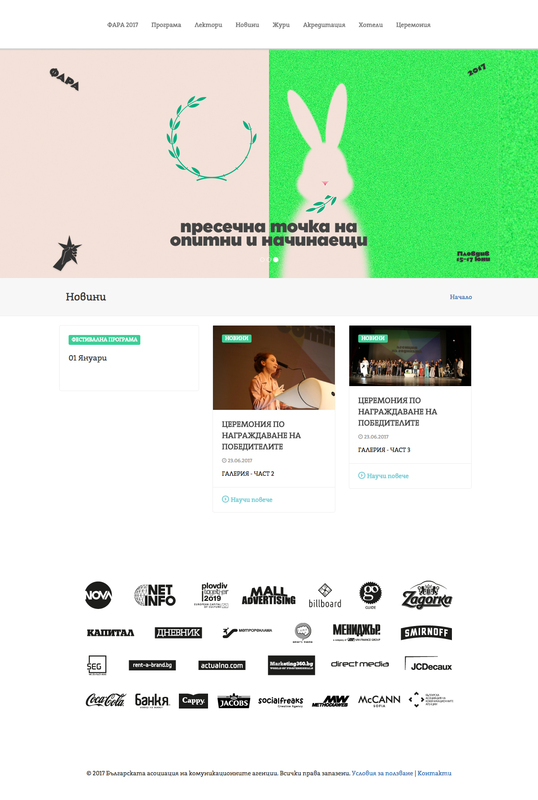 The development is based on the design of an agency-fellow contributor to the festival. It’s created on a custom platform with unlimited functionalities. We added a contact form with intuitive UX allowing simultaneous bidding of up to 10 participants for the event. The form gives possibility for filtering a price package. 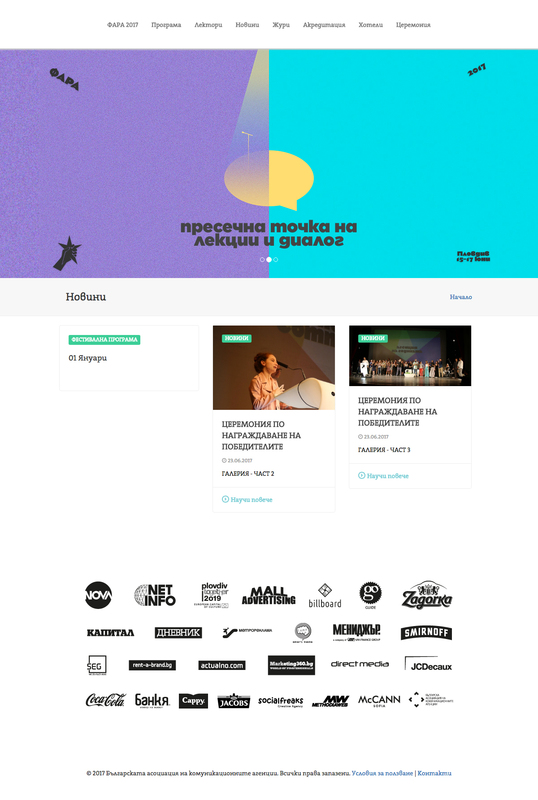 The site contains a link to a webpage offering hotel packages created specifically for the event.